Ah, baseball season is almost upon us once again! We have made it through another long winter and are ready to say hello to strikeouts and Fenway Franks. I highly recommend taking in a Red Sox game at Fenway if you have the chance, as Fenway Park is walking distance from The Lenox Hotel and it is the perfect spring and summer activity. 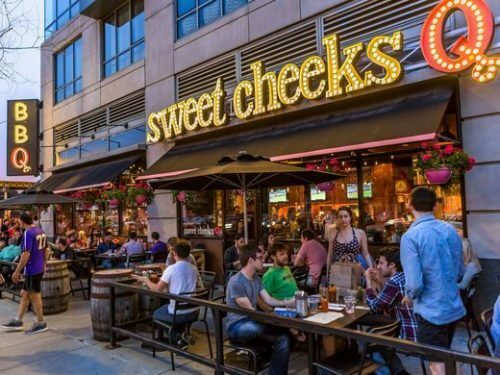 The Fenway neighborhood has developed significantly even over this past year and there are a bevy of options for pre or post-game food, drinks, or just people watching. If you don’t have tickets to the game, there are still some great options to watch the game with locals, have a few drinks, and eat some delicious food! I’m sharing some of my favorite options with you and I hope you will enjoy them as much as I do. This is definitely one of the staple Fenway pre-game spots. You are sure to find the place packed with spirited Red Sox fans on day games, so plan on getting there a little bit early if you’re planning on sitting down to eat. 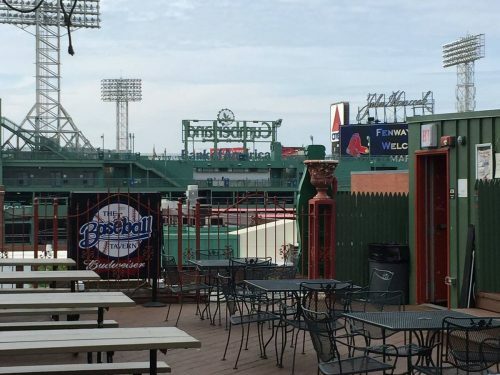 If the weather is on your side for the game you’re attending, they have a great sidewalk patio right next to the park, so you’ll really be able to take in the whole Fenway scene. And don’t forget to order the nachos! If you’re looking for some more of a “real” meal, rather than game-day bar food, there are a couple great options in the area. 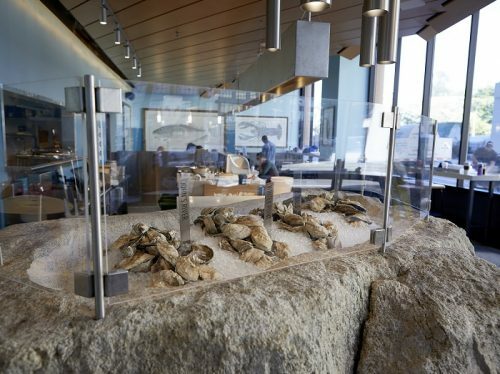 One of the newer additions is Eventide Oyster, which originally stemmed from Portland, Maine. Here you can get your seafood fix with their famous Brown Butter Lobster Roll, a fish sandwich, and of course…oysters! You will definitely leave with full stomachs and very satisfied tastebuds. Looking for a real meal, but not really into seafood? Tiger Mama is another excellent Fenway restaurant with a unique twist on Thai food classics. Their Pad Thai dish is one of my personal favorites, but one of the great things about this place is they have a lot of small plate options, so you can try many different things. The restaurant is decorated with funky, modern decorations and fun lighting, so if you’re looking for a cool Instagram photo, this is definitely the place to go. One of the best barbecue restaurants in Boston happens to be right down the street from Fenway Park! Sweet Checks is home to some extravagant meat trays, pulled pork sandwiches, and refreshing cocktails. Not to mention, their warm biscuits might be some of the best biscuits I have ever tasted. 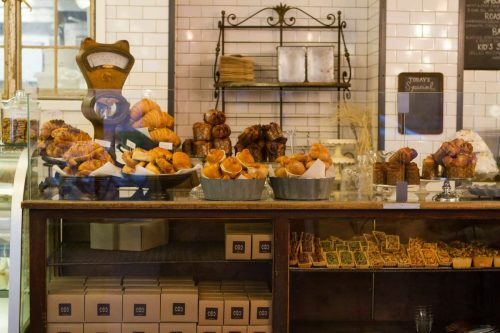 Another new addition to the Fenway neighborhood, is the ever popular Tatte Bakery and Cafe. Here you can find delicious sandwiches, salads, pastries, and a wide array of delicious coffees and other beverages. This is definitely a great spot if you are looking for something quick and casual, but still delicious, before the game. 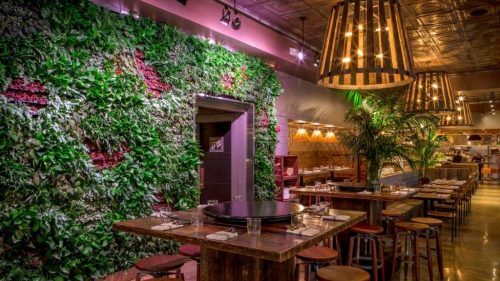 You will quickly see why this has become a local favorite in Boston! And last, but not least…what would a list about Fenway be with a mention of The Baseball Tavern? 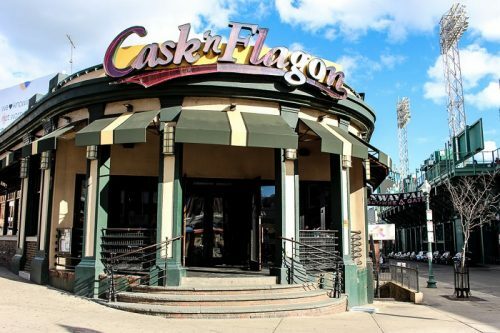 This historic restaurant bar is three floors of a great Boston atmosphere, and the third “floor” is a roof deck with a full bar, tables, and spectacular views of Fenway Park. If you don’t have tickets to the game, this is a great place to hang out and hear the action right across the street while keeping up with score on the many TV’s they have. I hope this list helps you plan your Fenway Adventure! If you have any questions at all, don’t hesitate to visit our Front Desk or Concierge for any other suggestions they might have. Go Red Sox!